It is that time of year again. 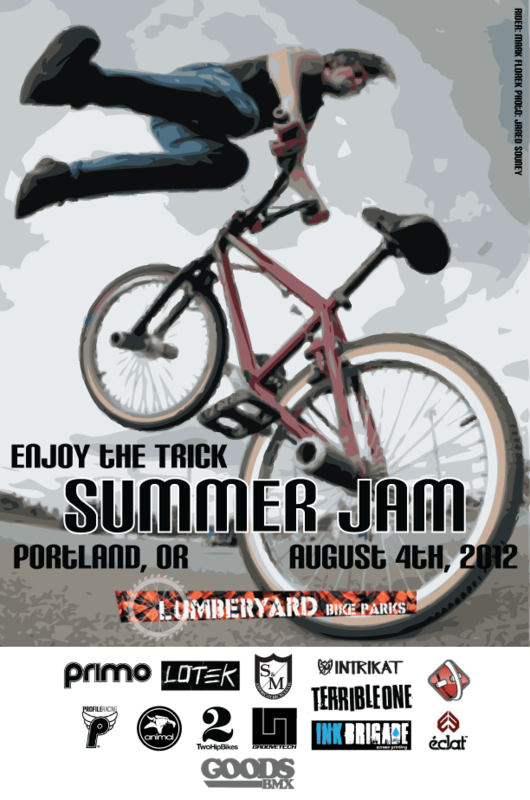 We are pleased to announce that the Enjoy the Trick Summer Jam 2012 will take place on August, 4th 2012. As always there will be lots of goodies, t-shirts and food. Come out and do some wheelies. Everyone is welcome. If you are coming to the jam check in at the front desk and they will direct you to where the jam is being held. Everyone who comes to the Lumberyard to ride must sign their digital waiver before you will be allowed to ride. NOTICE: If you are under the age of 18 your parent or legal guardian must sign the waiver for you on location. We cannot make exceptions to this policy. Please click HERE to view and sign the waiver. You don’t have to sign the waiver online. You can sign it at the front desk when you get there.